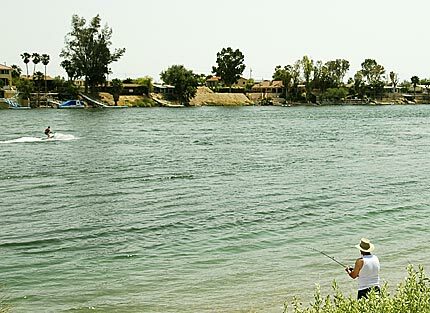 CARSON CITY, Nev.—Nevada’s Division of State Parks is granting free fishing access to its state parks on June 14, 2008. FALLON, Nev.–In more than 20 years of public safety, I have never operated in such severe conditions. The initial response required travel with lights and sirens on over 30 miles of snow- and ice-covered roads, which slowed response times. At this same time, and from the moment of the callout from dispatch, deputies were reporting numerous stranded persons that required a boat for evacuation, and they kept asking when we would be on scene. No boats had yet arrived. It was the longest 30 miles I’ve ever travelled. When we arrived at Greenbrook Place in Fernley, it was still dark and well-below freezing. Emergency vehicles, residents and their vehicles, and spectators and their vehicles, clogged every dry street and intersection. Asphalt roads, concrete walks and driveways under the floodwaters were covered with a thin layer of ice—it was incredible how slick and treacherous vehicle and foot travel became.